The Kobo eReader is an e-reader produced by Toronto-based Kobo Inc. The company's name is an anagram of "book". The original version was released in May 2010 and was marketed as a minimalist alternative to the more expensive e-book readers available at the time. As of March 2010, Indigo Books & Music owned 58% of Kobo Inc.; the Japanese conglomerate Rakuten bought control of Kobo in January 2012. Like most e-book readers, the Kobo uses an electronic ink screen. The LCD tablet versions have been released between 2011 to 2013. All Kobo e-Readers share a unique pagination system. Unlike normal books, Kobo e-Readers count and reference pages separately within each chapter rather than throughout the book. One cannot "go to page 263" of the current book on a Kobo e-Reader. Each chapter restarts page numbering with page 1 and numbers consecutively through to the end of that chapter. The Kobo Touch is the current baseline model, released in June 2011. It introduced an infrared touch-screen interface. Other improvements compared to the Kobo Wi-Fi included an E Ink Pearl screen, a faster processor capable of smooth PDF panning, 802.11n Wi-Fi capability, and reduced size and weight. The Kobo Glo is an ebook reader produced by Kobo Inc. It is a front-lit, touch-based E Ink reader. 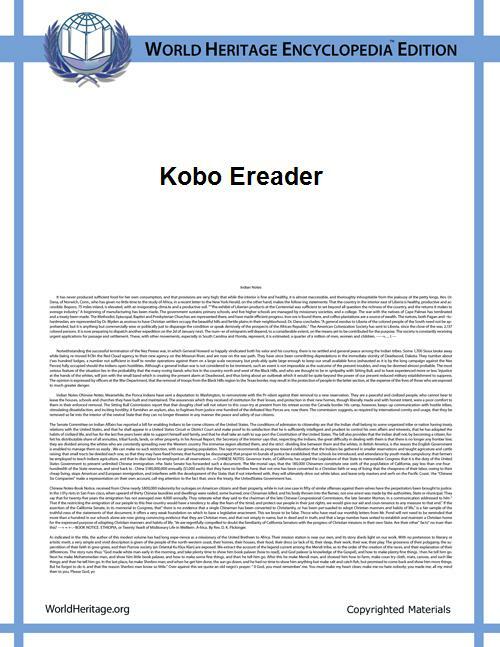 The Kobo Glo supports most ebook standards, including ePub. It has a 6-inch capacitive touchscreen, 1024×768 resolution, 213 ppi, 6.53 oz, 2 GB of storage, and supports microSD. It was released on September 6, 2012. A device with a 6-inch e-ink ClarityScreen display with 1024×758 resolution, 16 level grey scale and a built-in LED front-light. It has 4 GB of storage, weighs 6.1 ounces, has 2 months of battery life, a Freescale i.MX507 1 GHz processor, and a microSD expansion slot. It was released in September 2013. A limited-edition device with a 6.8-inch e-ink display, with a high resolution of 1440×1080 with 265 ppi. It is 8.47 oz and a microSD expansion slot. Other improvements compared to the Kobo Touch include a built-in "ComfortLight" light, a faster processor (1 GHz), twice the onboard storage (4 GB) and a claimed twice the battery life (estimated at 2 months). It supports ePub, Adobe PDF, plain text, HTML, and unprotected Mobipocket (mobi, prc). It was released on April 25, 2013. The Aura H2O is the first waterproof e-reader and has an upgraded version of the Aura HD's 6.8-inch e-ink Carta display with a resolution of 1440×1080 with 265 ppi. It contains the same processor, onboard storage, and software as the Aura HD, with dust/waterproofing, certified to be immersed for up to 30 minutes in up to 1 meter of water with port cover closed. It was released on October 1, 2014, weighs 8.22 oz and has a microSD expansion slot. Kobo Inc. announced its first eReader on 24 March 2010 at the CTIA show. It was officially released on 1 May 2010. It had expandable memory, holding an additional 4 GB via an SD slot and limited wireless connectivity via Bluetooth to select Blackberry wireless devices. It was available in black or white and came preloaded with 100 public domain books. It was manufactured by Netronix Inc., a Taiwan based company with factories in Taiwan and China. The pricing strategy of the original Kobo, at USD$149, was to rival the Amazon Kindle, which was USD$110 more expensive. However, in June 2010, just after the Kobo was released, Amazon dropped the price of the Kindle to USD$189. Its pricing strategy in Australia was similarly aggressive where it was available for A$199, again A$100 less than the Kindle. Borders Australia said that they hoped to sell high volumes of the Kobo to drive up sales at their e-content store. The original Kobo received a mediocre review from CNET, which said that, while the Kobo was compact, lightweight and affordable, the lack of Wi-Fi or 3G made it outdated, especially when there were similarly priced eReaders available with those features. 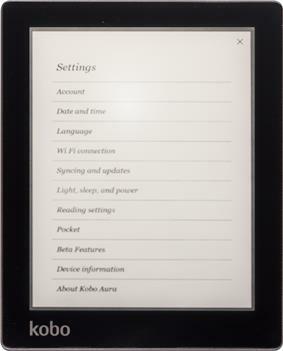 In December 2010, the original Kobo's feature set was updated with a firmware update to more closely match the Wifi model. A new model with Wi-Fi capability was launched 15 October 2010. It included an improved processor, screen, and new colour choices (porcelain/metallic silver, porcelain/pearlized lilac, and onyx). The SD expansion had been improved to claim a capacity for up to 10,000 books with a 32GB SD card. Other improvements included a longer battery life and a built-in dictionary. As with the original model, the Wi-Fi model came pre-loaded with 100 public domain books. The Kobo Mini is advertised as smaller and lighter than standard eBook readers. It was released on September 6, 2012. The Kobo Arc is a 7" color tablet announced 6 September 2012. Originally shipped with Android 4.0, "Ice Cream Sandwich" it was updated to Android 4.1.1 in March 2013. In August 2013, Kobo announced it would release a high-definition 10-inch tablet (Arc 10 HD), a high-definition seven-inch tablet (Arc 7 HD), and a low-priced seven-inch tablet, the Arc 7 for $149. These tablets are the first device to feature "Reading Mode" on the tablets, which turns off outside notifications, adjusts the back-lighting and turns off non-reading-essential processor functions to save power. The Kobo Vox is a 7" tablet running Android 2.3 Gingerbread. It was announced 19 October 2011. The Kobo e-reading platform is now the best-selling in Canada, with research firm Ipsos Reid estimating that Kobo e-readers represented 46% of the Canadian market as of January 2012. As of spring 2012, Kobo has 50% of the market share in France. As of August 2013, Forbes.com says that Kobo is the No. 2 ebook retailer in Japan and estimates Kobo has 3% of the market share in the United States. Kobo, the Rakuten-owned e-reading company, has announced that it is to acquire the digital publishing platform Aquafadas to bolster the breadth of content available on its e-reader devices. ^ a b c d Nowak, Peter (24 March 2010), "Indigo targets Amazon with Kobo e-reader", News ( . ^ "Rakuten Completes Acquisition of Kobo". CA: TechFinance. Retrieved 21 March 2012. ^ a b Haselton, Todd (2013-09-28). "Kobo Arc 7, Arc 10HD and Aura Hands-On". TechnoBuffalo. TechnoBuffalo LLC. Retrieved 2014-06-04. ^ Ridden, Paul (25 May 2011). "Kobo launches new e-Reader Touch edition". Gizmag. Retrieved 26 May 2011. ^ "eReader Touch Specs". Books. Kobo. Retrieved 27 May 2011. ^ "Welcome the New Kobo Family of Devices – An eReader for Everyone!". ^ "Specs", Kobo Glo, Gdgt . ^ "Tech specs". Aura. Kobo. ^ "Kobo’s new tablets compete with Google’s Nexuses on price, specs". Ars Technica. Aug 2013. Retrieved 29 August 2013. ^ "Kobo crams 1.5 million pixels into its 6.8" Aura HD e-reader". Ars Technica. Retrieved 2013-04-16. ^ "Kobo crams 1.5 million pixels into its 6.8" Aura H2O e-reader". Ars Technica. Retrieved 2013-04-16. ^ "Kobo Aura H2O Technical Specs". Kobo. Retrieved 2014-10-01. ^ Hamblen, Matt (25 March 2010), "Kobo announces $149 e-reader to be sold by Borders", Computerworld . ^ "Homegrown Kobo hits the shelves", The Globe and Mail (review), 29 April 2010 . ^ "Kobo model N416", OET Exhibits List, FCC . ^ About (company information), Netronix . ^ a b "Kobo eReader Review" (video review). C net. Retrieved 19 October 2011. ^ a b Bhatt, Neerav (13 May 2010). "Borders to sell Kobo e-Book reader for A$ 199". ^ Geier, K. "Customers with the original Kobo eReader we are happy to announce that Newspapers and Magazines Now Available!". Blog. Kobo. Retrieved 27 May 2011. ^ a b "Features". Ereader. Kobo. Retrieved 17 January 2011. ^ Pilato, Fabrizio (29 September 2010). "Kobo WiFi edition is cheaper, faster and sharper". Mobile Magazine. Retrieved 17 January 2011. ^ a b "Taking Another Look At Ebook Upstart Kobo". Forbes. 2013-08-14. Retrieved 2013-08-29. 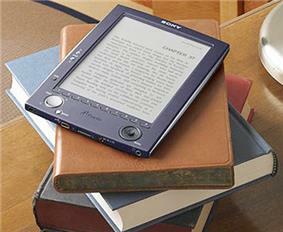 ^ "Digitimes Research: 4.57 million e-book readers to be shipped globally in 4Q12". ^ a b Barbour, Mary Beth (2012-04-19). "Latest Wave of Ipsos Study Reveals Mobile Device Brands Canadian Consumers are Considering in 2012". Ipsos Reid. Retrieved 2012-06-04. ^ Reid, Calvin (2012-04-20). "With More Funding, Kobo Steps Up". Kobo labs (reader source code repository), Git hub .